What is Felt, and why has it been one of the most popular textiles for over 5000 years? Felt is a man-made fabric, created from natural fibres. 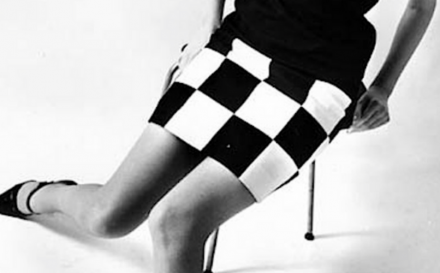 Most man-made fabrics are generally woven; however, felt differs in this sense. So, what is felt exactly? A Felted fabric is created from fibres being compressed and matted, often pressed together using heat, moisture and a lot of pressure. It can take a large amount of work, but the result is a very dense fabric consisting of permanently interlocked fibres. What is Felt Made From? Felt is typically composed of wool or other natural raw materials, which generally produces the highest quality and softest fabric. Wool also matts very easily, making it ideal for this fuzzy fabric. However, adding synthetic fibres into the mix (such as polyester or acrylic) can improve the product depending on its intended use. 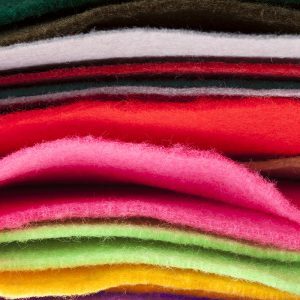 Adding a percentage of synthetic fibres can increase felts durability for certain crafts or industrial use, and can also increase pliability. A common fibre sometimes added to wool is rayon, which when added removes the prickly feeling that pure wool can often have against the skin. Meaning that a synthetic mix is the best of both worlds! As mentioned, the process of creating felt can be pretty labour intensive, involving various steps of blending the fibres, matting the material, shrinking and steam-pressing. However, the most straightforward method is simply to apply heat and moisture which causes the mix of fibres to merge and blend together. 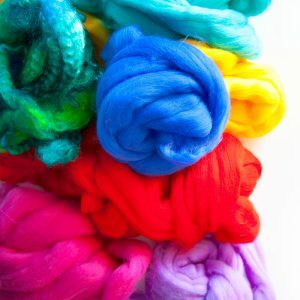 You can even do this yourself at home to any wool or knitted products – pop it in the washing machine for a process known as ‘felting’ or ‘fulling’ – the same thing that happens when you accidentally shrink that woollen jumper! Wool felt is one of the oldest known textiles. The location of its origin is debated, with many cultures having their own origin legends for the process. However, it is thought to have been created over 5000 years ago in Asia. The method is still practised by Nomadic peoples in Asia to make tents, rugs and clothing, including traditional yurts and more tourist oriented items such as decorative slippers. One commonly told origin story is that during the Middle Ages, men lined their sandals with wool for comfort. Over time, the fibres in the wool became interlocked and felted as a result of the moisture, warmth and recurring pressure from being walked on. There are a few types of felt readily available to work with, alongside needlefelt which you can create yourself. This is the oldest form of felt (or fabric at all) that is known to man, it even predates knitting and weaving techniques. 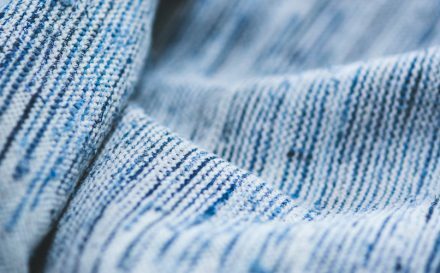 It’s the most common type, which uses wool fibres or a blend of wool and synthetic fibres which are compressed using heat and moisture, causing the fabrics to interlock. It can be cheap to make, and can also be made in a range of thicknesses which achieve a high density. 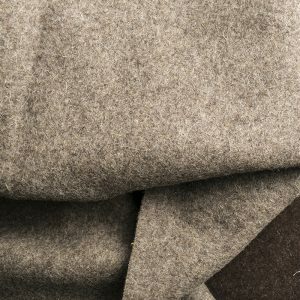 In the case of needed felt, a blend of wool and synthetic fibres, or 100% wool, are again interlocked but this time by a machine rather than naturally. Machines that contain thousands of needles interlock the fibres to produce this softer, less dense type of felt fabric which is often used for crafts or cushioning. To make woven felt, wool or a wool blend is directly woven into a cloth and then moisture and pressure are applied. This makes the fibres naturally interlock, as with pressed felt. This incredibly durable fabric is ideal for musical instruments and door seals, and has a much lower maximum thickness than needled or pressed felt. What is Felt Used For? So, what is felt used for? Felt has a huge range of uses, depending on the type you’re using and the quality of the wool. 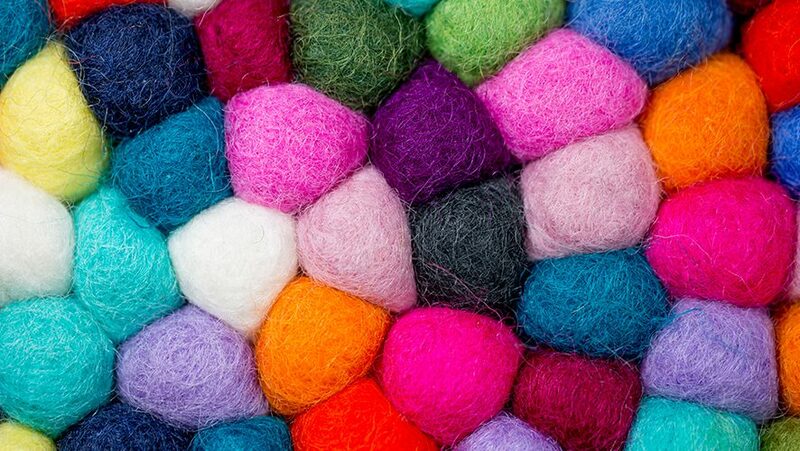 Wool has different textures ranging from silky to coarse, which ultimately effects the felt you create with it. 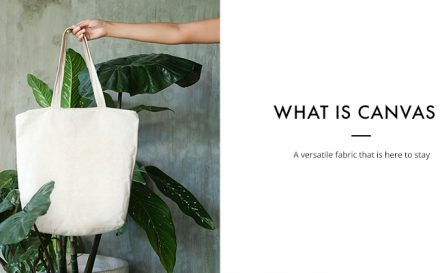 Felt has an incredibly unique texture and qualities, and can be made from a wide range of materials which is quite unusual in a fabric. 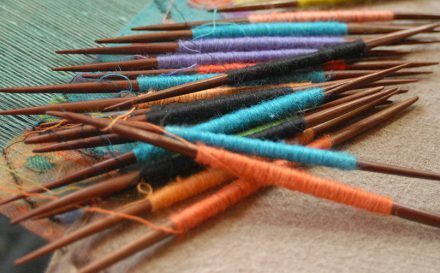 Needled felt is very soft making it perfect for crafts, whereas wool blends are light and breathable but still keep you toasty during the Winter months; making them perfect for knitwear. 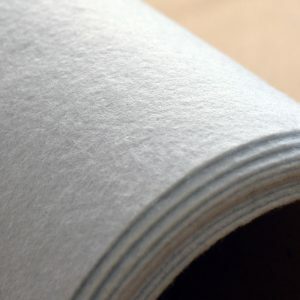 Pure wool felt is a natural insulator and very resilient to wear and tear, as well as being strong and able to absorb moisture. This means it can be used for home furnishings as well as decorative items. After exploring the question of ‘what is felt?’ why not trying our swatch pack and feel and discover felt and other fabrics?